As a part of the FY2016 Budget, Equipment Services received approval to purchase several replacement vehicles and pieces of equipment, a few of which have already been received. The equipment received is one Toro Sand Pro bunker rake, to be used by the Parks Department, as well as two V-box sand spreaders and a concrete saw for the use of the Streets Department. Vehicles received include three F-150 pickup trucks for the Equipment Services, Streets and Water Departments. One F-450 cab/chassis with a service body was also received for the Wastewater Department and one F-350 cab/chassis with a service body for the Water Department. In addition, there are six new Patrol SUV Police Interceptors currently in the process of having police equipment installed. These units are a vital part of the City’s operation and are essential in the day-to-day activities of the City. The vehicles and equipment are used in maintaining integrity of City streets, the quality of water, the flow of wastewater, and the protection of the citizens. The bunker rake is used in maintaining the ball fields used by citizens and athletic associations. There are a total of twenty-one vehicles and pieces of equipment being purchased this year. More deliveries are expected in the near future for the rest of the vehicles and equipment ordered. If you have any questions regarding Equipment Services, please call Asa Low at 972-780-5062. In our continued effort against the West Nile Virus, the City of Duncanville has authorized the Dallas County Health and Human Services (DCHHS) to conduct ground spraying against mosquitos on Thursday, August 4, Friday, August 5, and Sunday, August 7, in the Thrush Avenue area from 9 p.m. thru 5 a.m., weather permitting. A positive mosquito trap pool for the West Nile Virus was reported by the County in this area. The Duncanville Community and Economic Development Corporation (DCEDC) recently presented Randy Gaubert, President of RPG Capital Management, LLC with a $75,000.00 incentive grant. The grant was used to complete a screening wall, utility infrastructure, fire lane, and approach paving for Phase 2 and 3 of a medical/professional office development located at 407 W. Danieldale Road. Incentive grants are part of DCEDC’s Design Incentive Program that is aimed at helping businesses enhance their facades and improve their sustainability. For more information on DCEDC or business incentives, please call the Economic Development Department at 972-780-5090. The Comprehensive Plan public engagement process is kicking off! Destination Duncanville is the City’s first comprehensive plan and a critical part of plan development will be the involvement of property owners, residents, business owners, and other stakeholders in the community. The development of the Comprehensive Plan will start ‘from the ground up’, meaning that community involvement will be the foundation of the plan. There are multiple ways to get involved and to give input to the planning team. Input Boards – There will be input boards in the foyer of City Hall, at the Duncanville Public Library, the D.L. Hopkins, Jr. Senior Center, and the Fieldhouse for citizens to write down their vision for the future of Duncanville. It is an opportunity to share where you see Duncanville in the next 10 to 20 years. Does it look exactly the same? Is it different? This is a chance to provide candid thoughts on the direction the City should go. Destination Duncanville Website – As part of the plan development process, a website has been created to disseminate information, gather input, and provide updates on the progress of the Comprehensive Plan. 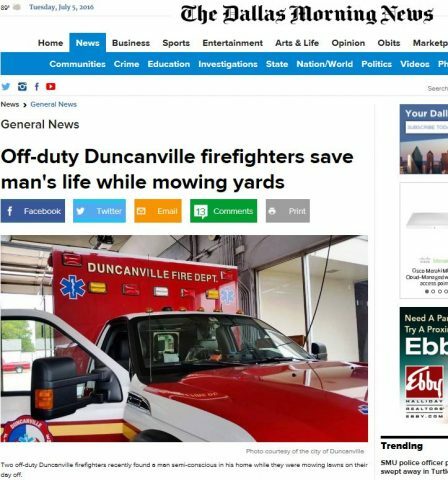 The website, DestinationDuncanville.com, will be the main source of information for those interested in keeping up on the status of the plan. Community Survey – On the DestinationDuncanville.com website, is a community survey. The information in this survey will aid the planning team in becoming familiar with Duncanville, its strengths, and its weaknesses from the perspective of its everyday users. It will include questions about the importance of various quality of life aspects of the City and where the City should focus its energy and resources. This survey is voluntary, all information recorded will be kept anonymous and no record of individual responses will be transferred or implied. Your input is vital and greatly appreciated. Community Wide Meeting – Perhaps the most important way to give input on the Comprehensive Plan is to attend the first community wide meeting that will be held on Wednesday, August 17, 2016 at the D.L. Hopkins, Jr. Senior Center. Check-in will begin at 6:30 p.m. and the meeting will begin at 7:00 p.m. The meeting will be an opportunity for citizens to participate in interactive exercises and discussion facilitated by the consultant Freese and Nichols, Inc. The goal of the meeting is to walk away with a basic understanding of what the community deems as important, issue identification, and to begin formation of the overall vision of the City. The planning team will also be meeting with various stakeholders in the community to gain further insight into specific topics to be covered in the plan including economic development and Downtown. There will also be opportunities for citizens to provide input on their own through the Meeting in a Box. The Meeting in a Box is a box of resources to allow anyone to facilitate a meeting on their own and provide the feedback to the City. More information regarding the Meeting in a Box will be provided on the DestinationDuncanville.com website and the City website. The Comprehensive Plan presents an opportunity to demonstrate that Duncanville residents, businesses and elected officials are committed to working together for the best possible future for our community. It is an exciting time for Duncanville and it will require everyone’s participation. Can we count you in? Updates on the progress of the Comprehensive Plan as well as information on opportunities for public input will be provided on the City of Duncanville website as well as through the DestinationDuncanville.com website, the Spotlight Duncanville quarterly newsletter and The Champion monthly newsletter. In our continued effort against the West Nile Virus, the City of Duncanville has authorized the Dallas County Health and Human Services (DCHHS) to conduct ground spraying against mosquitos on Thursday, July 28, Friday, July 29, and Sunday, July 31, in the Thrush Avenue area from 9 p.m. thru 5 a.m., weather permitting. A positive mosquito trap pool for the West Nile Virus was reported by the County in this area. In our continued effort against the West Nile Virus, the City of Duncanville has authorized the Dallas County Health and Human Services (DCHHS) to conduct ground spraying against mosquitos on Thursday, July 21, Friday, July 22, and Sunday, July 24, in the Highgate and Greenstone Court areas from 9 p.m. thru 5 a.m., weather permitting. A positive mosquito trap pool for the West Nile Virus was reported by the County in these areas. Residents living near these areas are encouraged to remain indoors and bring their pets inside during spraying. City Staff will continue to monitor areas where mosquito breeding is mostly like to occur. To prevent the spread of mosquitos, residents should remove all areas of standing water and report all pools that are not well maintained and abandoned homes where mosquitos are likely to breed to the Health and Code Enforcement Department. Everyone should continue to protect themselves against the West Nile Virus by using insect repellent containing DEET. Citizens are also encouraged to remain indoors during dawn and dusk, when mosquitos are most active. Click here to see map of spraying area. Republic Services is working diligently to pick up the high volumes of brush that are being placed at the curbs for pickup. Due to the extra volume, brush pickup could take up to three weeks. • Cut brush in lengths of 6 to 8 feet. • Stack brush loosely at the street curb. • Brush piles should be free of metal, wire, trash and/or fencing material. • Be mindful of where you place the pile to avoid damage to anything above, around and under the pile that may not be seen by the operator. • Keep piles at least 6 feet from mail boxes, utility poles, fire hydrants, cars, or any other obstructions that could potentially be damaged and/or cause a delay in service. • Brush, limbs, tree trimmings, shrubs, and vines must be cut in lengths not to exceed 4 feet. • Brush, trunks and limbs cannot exceed 6 inches in diameter. • Stack neatly with a height not to exceed 3 feet. • Secure in bundles with a weight limit not to exceed 50 pounds. If your small brush piles were not picked up with your normal trash collection, or to learn when Republic is scheduled to be in your area for large pickup, please contact Jessica Smith, Solid Waste Coordinator, at 972-780-4946. The Duncanville Community and Economic Development Corporation recently presented Steve Corder owner of State Farm Insurance and Melcor, Inc. with a $4,805.06 sign grant. The grant was used to replace an older monument sign, that inhibited drivers visibility in the area and branding of tenant businesses, with a new pole sign. Sign grants are part of DCEDC’s Design Incentive Program that is aimed at helping businesses enhance their façades and improve their sustainability. For more information on DCEDC or business incentives, please call the Economic Development Department at 972.780.5090.